Anasse Bari was born and raised in Tangier, Morocco and is now a Visiting Assistant Professor of Computer Science at George Washington University (GW) in Washington, DC, as well as the co-author of a new book on predictive analytics. Photo courtesy Annase Bari. Remember that scene in “The Notebook” where Allie Hamilton (Rachel McAdams) and Noah Calhoun (Ryan Gosling) are frolicking on the seashore? Exhilarated, flapping her arms in the water, Allie announces that she’s a bird. “Now, say you’re a bird,” she then tells Noah. “If you’re a bird, I’m a bird,” he responds. Don’t worry. MOTM sat down with Anasse for a quick primer on his Big Data work, why it matters, and… how it has nothing to do with romantic comedies. MOTM: You were born and raised in Tangier and are now a Visiting Assistant Professor of Computer Science at George Washington University (GW) in Washington, DC, as well as the co-author of a new book on predictive analytics. How’d you get from A to B? 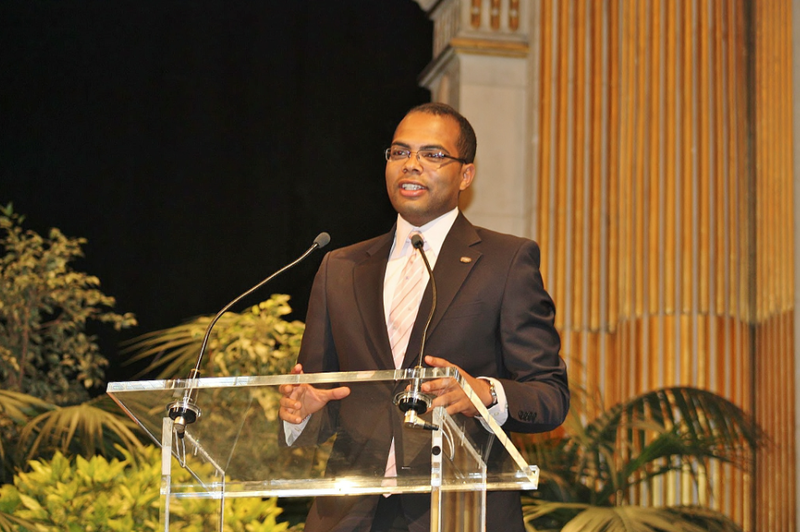 AB: I first became interested in computer science at Al Akhawayn University in Morocco. During my time there, I studied abroad at GW and I worked for the computer science department on some data mining projects. I finished first in my class in 2007 and I worked at APM Terminals, which is a branch of the A.P. Moller-Maersk Group—a company that leads the shipping business. They built one of the biggest ports in Morocco. It was at that time that I decided to pursue my studies and I applied to the Fulbright. I got it and went to GW for my graduate studies. I worked at the World Bank Group after graduating, and eventually re-joined GW as a visiting assistant professor of computer science. MOTM: What have you been working on at GW? AB: I teach a computer science course to more than 100 students a semester. Besides teaching, I have been doing research on the field of data mining since I was a student. My research advisor Prof. Bellaachia and I created new algorithms known as “Flock by Leader” and “SFLOSCAN” that were inspired from the natural behavior of flocking birds. We have applied those nature-inspired algorithms to several fields such as cancer research, analytics of online social networks and information retrieval. MOTM: What made you think of that? Why birds? If you look at birds flocking, they fly and migrate in a self-organized manner without ever colliding. We can model the data of an individual after that of a bird flocking, using data from different sources such Facebook, Twitter–anything from cyberspace. This allows us not only to predict a “bird’s” (i.e. individual’s) behavior but also to reveal hidden or emerging communities, community leaders, influential individuals or outliers. 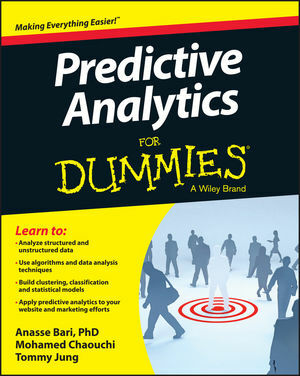 MOTM: “Predictive analytics” seems to be all the rage in business. Can you tell us a little more? AB: Many companies are now moving toward predictive analytics. They want to have forward insights so that they can make better decisions. Target, for example, analyzed historical and present customer data to figure out which of its customers are most likely pregnant so as to advertise specific products to them and maximize profits. The same model can predict events such as social revolutions or disease outbreaks. For example, Google has used predictive analytics to detect disease outbreaks in certain regions before they spread. Google found out that people from a certain region were searching for symptoms of influenza and were able to predict an outbreak before it happened. MOTM: So how is the “Flock by Leader” model different from other predictive analytics algorithms, and what makes it useful? AB: It’s different because this model is purely inspired from nature. Most of the predictive analytics models rely on traditional statistical techniques. Nature-inspired algorithms have unique and powerful features such as self-organization with no-prior knowledge. For instance, the behavior of birds flocking is self-organized in a way that birds don’t need any special prior knowledge to fly in a flock, yet they never collide with each other. MOTM: Wow. Now that we have your attention, what computer and cell phone do you recommend? AB: I’d have to use predictive analysis based on your historical and present behavior to predict which phone you’d most likely buy. But most of the cell phones now, the smart phones, share the same characteristics. The same applies to computers.